Hello! 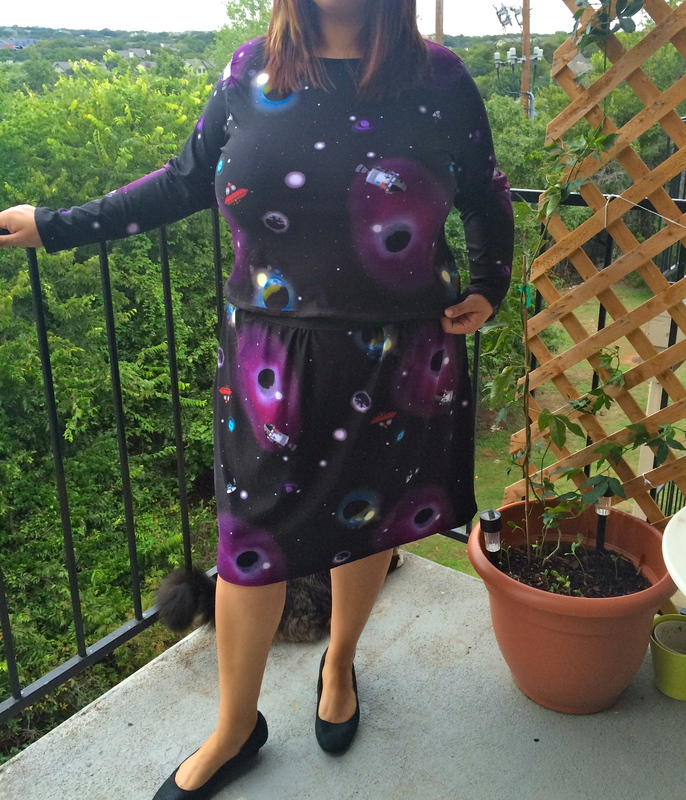 So forever ago I bought this dress that was 2 sizes too big for me, but I LOVED the space print and bought it anyway. I had to have it. I cut it in half and made a top (http://wp.me/p3ADPU-Y) that I have yet to wear (due to weather). As I was sorting out my stash I found the bottom piece and decided to make it into a dirndl. How could I not?! 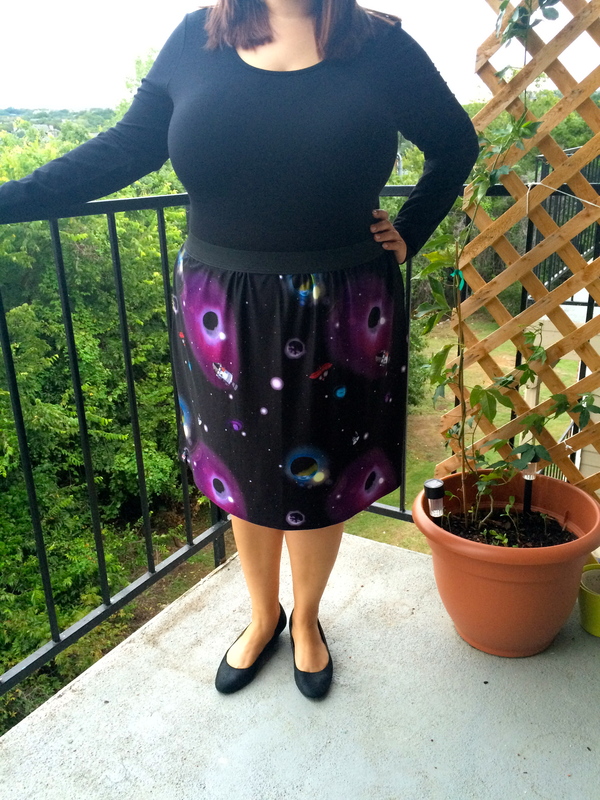 It was already two rectangles sewn together in need of a waistband…easiest skirt ever. Since the fabric is crazy synthetic I went with an elastic waistband, even though it won’t have much give to it at all. I took a chance and I’m pleased with the fit. It’s definitely not full but honestly, I don’t mind. I love the pattern so much! Pattern overload! Of course I wouldn’t wear these together. I’m not certifiably crazy.